This is an acrylic painting on gallery wrap canvas with painted sides, and requires no frame. This painting measures 11″x 14″. 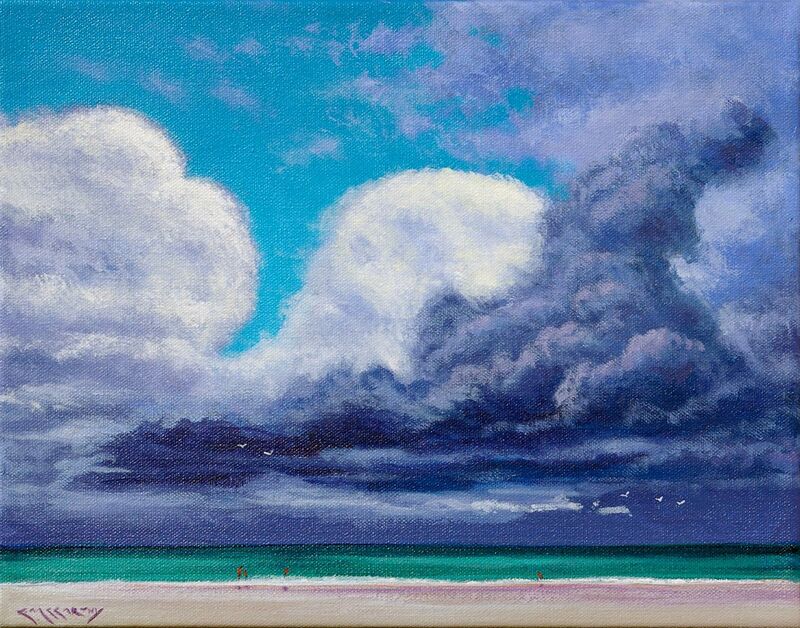 This is a painting of a family playing along the shoreline, as a late afternoon thunderstorm, a frequent event in Florida, year round, hovers in the background. It’s based on a one of the many beach visits we enjoyed during our seven stay to the sunshine state. This small painting is being sold unframed.